Guess what today is! It is my blogiversary! I started blogging twice a week seven years ago! And as tradition, I give away a present based on traditional wedding anniversary gifts. 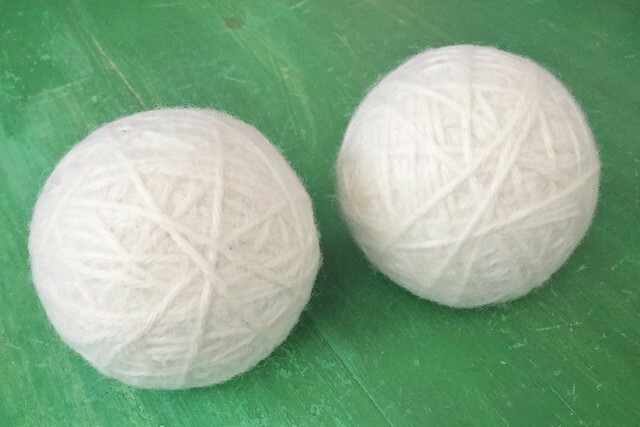 The seventh year is the woollen anniversary so I'm giving away some handmade felt wool dryer balls for my blogiversary! These dryer balls are alternatives to dryer sheets and help reduce dry time! 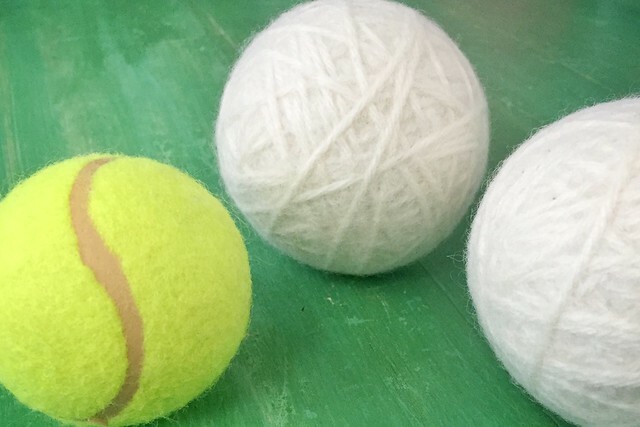 Each ball was made with 100 grams of feltable wool and are slightly larger than a tennis ball. One lucky winner will get the pair of wool dryer balls. 1. Leave a comment below by Sunday, April 17th. 2. Wait. The winner will be chosen by a random number generator and will be announced Tuesday April 19th. Wow, seven years?!? Happy anniversary! Hope I'm the lucky winner! Thats such a cool idea!!!! Happy anniversary! I am in need of new dryer balls, hope I am the winner. I need to be a winner!!!! Congrats on 7 (that's 49 in dog years) years of entertaining us on your blog!!! Congrats on your blog! What an amazing thing you've had going on for 7 years!